Example view of Kaydon’s newly enhanced 3D CAD model viewer. 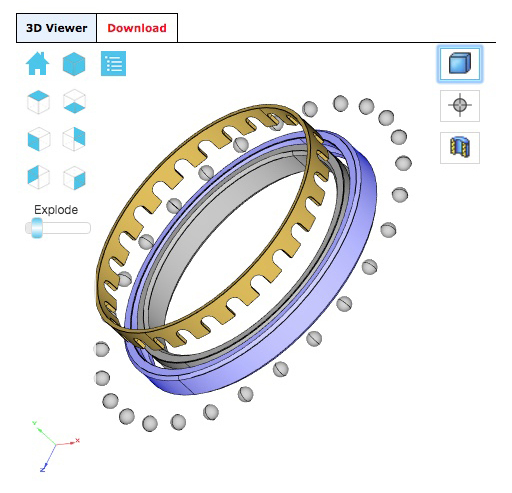 Kaydon features on its website at www.kaydonbearings.com a newly enhanced 3D CAD model viewer from 3DX. Downloading CAD drawings of Reali-Slim, Ultra-Slim and Kaydon slewing ring bearings is faster than ever, especially in the case of complex models such as slewing bearings with a full complement of gear teeth. Key benefits of the enhanced model viewer include color views, sectioning views and exploded views. 23 different CAD download formats are available, meeting a variety of customer download needs. Also available are additional MT-series bearing drawings. Kaydon, an SKF Group company, is a leading global manufacturer of standard and custom thin-section bearings, slewing ring bearings, and high-level bearing assemblies for a wide range of manufacturing and process applications. 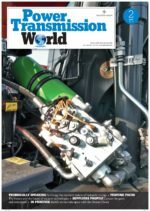 Kaydon is also a major supplier of remanufactured and new replacement bearings. Kaydon designs and manufactures custom-engineered, performance-critical products, supplying a diverse group of alternative-energy, industrial, aerospace, medical and electronic equipment, and aftermarket customers. In Italy, Kaydon bearings are distributed through Magi S.r.L., Milan.